Cross-party survey of 90 MPs reveals support for regulation. New research suggests that most MPs are broadly supportive of coalition plans to introduce a statutory lobbying register. With the Government poised to issue a consultation on the issue, pollsters Populus surveyed 90 MPs from the three main political parties. Sixty-eight per cent of those polled agreed that a statutory lobbying register would help the democratic process, while just 17 per cent disagreed. Fourteen per cent of respondents did not have an opinion either way. 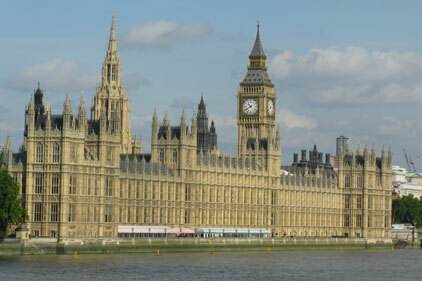 The MPs were also asked whether their personal experience suggested that further regulation of lobbying was necessary. Forty per cent said their personal experience did suggest this, compared with 25 per cent who said this was not the case. The 90 MPs were also asked whether public affairs professionals are a hindrance to the work of MPs. Fifty-five per cent disagreed with this, but 14 per cent agreed. Almost one third of those polled - 30 per cent - did not have a view. The Government has pledged to implement a statutory register of lobbyists as part of the coalition agreement thrashed out last year. The document drawn up by the two parties in May 2010 states: 'The parties will tackle lobbying through introducing a statutory register of lobbyists'. The document provides no further details on the plans for a statutory register. The pledge to implement a statutory register was widely seen as a concession to the Liberal Democrats, and a number of Conservative MPs are said to be uneasy about the plan. Nevertheless, a consultation document is expected to be published by the Cabinet Office in the next few weeks. The Liberal Democrats have long been in favour of a statutory lobbying register. In the run-up to the 2010 election campaign, Labour also made a pledge to implement the statutory register, but the Conservatives failed to endorse the idea.